For frameless shower door fitting, in polished chrome. Buying this product will earn 245 Loyalty Points. 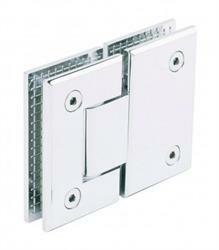 Be the first to submit a review for the Glass To Glass Hinge (180 Deg).